San Francisco’s Bay Area Bike Share program will be renamed Ford GoBike in early 2017, as part of a new partnership between the operating firm Motivate and Ford Motor Company. The partnership will see Ford Motors provide funding that will allow for a large expansion of the program — from 700 to 7,000 service bikes, across the East Bay and San Jose areas in addition to San Francisco itself. The expansion is expected to be completed by the end of 2018. Once the expansion is completed, the “Ford GoBike” program will be the second biggest bikesharing program in the US. The sponsorship will reportedly total $50 million. 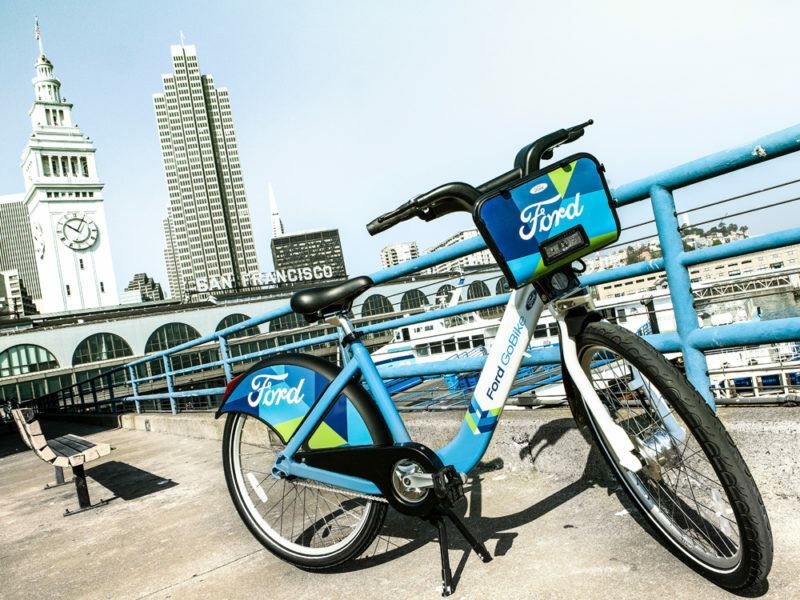 “This unique partnership with Ford shows that bike share is no longer ‘alternative’ transportation, it is central to creating smart, on-demand mobility that represents our values for equity and sustainability,” stated Jay H Walder, CEO of Motivate, operator of Bay Area Bike Share. On a related note, the city of Palo Alto will also be rolling out a new Ford-backed regional bikesharing program sometime next year, according to an article published in Palo Alto Daily News. That $1.1 million effort will reportedly aim to increase the city’s bikesharing fleet from 37 to 350 units by June 2017, and to 700 units by 2018. Interestingly, this expansion may involve the replacement of the current bikesharing fleet with so-called SoBi (Social Bikes) “smart bikes” — which are equipped with onboard locks that allow users to finish their rentals by locking the bike to virtually any city bike rack. With such a system, bikes can then be found by other users using the GPS-based smartphone app.